Yakir Aharonov is an Israeli physicist specializing in quantum physics. He has made seminal contributions in quantum mechanics, relativistic quantum field theories and interpretations of quantum mechanics. In 1959, he and David Bohm proposed the Aharonov-Bohm effect. August 28, 1932Birth, Haifa (Israel). 1956Obtained BSc, Technion - Israel Institute of Technology, Haifa (Israel). 1960Obtained PhD, University of Bristol, Bristol (England). 1960 – 1961Research Associate, Brandeis University. 1961 – 1973Assistant Professor (1961-1964); Associate Professor (1964-1967); and Professor (1967-1973), Yeshiva University, New York (N.Y.). 1967 – presentProfessor (1967-2001) and Professor of Physics Emeritus (2001-present), Tel Aviv University, Tel Aviv (Israel). 1973 – 2007Professor to Distinguished University Professor, University of South Carolina, Columbia (S.C.). 1988 – 1990Miller Research Professor, University of California, Berkeley. 1993Member, National Academy of Sciences. 1998Awarded Wolf Foundation Prize in Physics, Wolf Foundation. 2007 – 2008Distinguished Professor of Theoretical Physics, George Mason University. 2008 – presentJames J. Farley Professor of Natural Philosophy, Chapman University, Orange (Calif.). 2009Awarded National Medal of Science. 2009 – 2012PI Distinguished Research Chair, Perimeter Institute for Theoretical Physics. Discovered the Aharonov-Bohm effect for which they co-received the 1998 Wolf Prize. Advised by Aharonov at Tel Aviv University, Conditional Feynman Integrals. Both employed at the Perimeter Institute for Theoretical Physics. Both employed at Chapman University. James J. Farley Professor of Natural Philosophy. Distinguished Professor of Theoretical Physics. Professor and Professor of Physics Emeritus. Professor to Distinguished University Professor. Assistant Professor; Associate Professor; and Professor. Obtained BSc in Physics (1956). Obtained PhD in Physics (1960). Commemorating the 40th anniversary [computer file] / 2002. 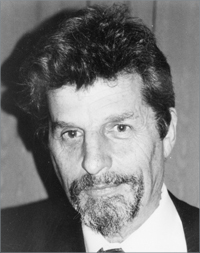 Oral history interview with David Bohm, 1986 June 6, 12, July 7, September 25, October 3, December 22, 1987 January 30, February 6, 27, March 6, April 3 and 16. Oral history interview with David Finkelstein, 2013 February 18. Quantum coherence and reality : in celebration of the 60th birthday of Yakir Aharonov : International Conference on Fundamental Aspects of Quantum Theory, University of South Carolina, Columbia, 10-12 December 1992 / editors Jeeva S. Anandan and John L. Safko. Quo vadis quantum mechanics? / A. Elitzur, S. Dolev, N. Kolenda (eds. ).